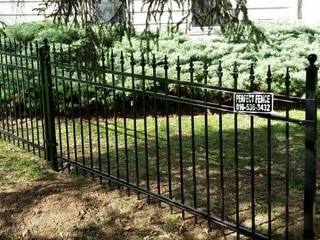 Perfect Fence Company takes great pride in offering professional installation services to the Kansas City metro area. We’re eager to accept even the most challenging fencing projects. Let our professional team help guide you through our various options for materials, design and needs. You can contact us through this site or give us a call at (816)Perfect for a free estimate. We install fencing in Kansas City all year, Summer, Fall, Winter & Spring. Fence company offers broad selection of fencing to so choose from – cedar, split-rail, pressure treated and much more. Some well-erected chain link is more than just a boundary therefore it can increase the attraction of your property. Our vinyl styles are formulated with a UV inhibitor as a result outdoor toughness and color hold. We offer a beautiful selection of quality iron fencing and that is maintenance free and has a 20 year warranty. From general business & industry needs to high security correctional requirements. From pools to animal fencing, we can transform your space into a safe and secure environment. Perfect Fence Company in Kansas City. First of all a sturdy and well-built fence is great for the value of your property. So at Perfect Fence Company a quality product and a happy customer is our team’s main goal. Also with our expert staff’s knowledge in the industry, you can count on your project being built strong and straight. So give us a call at (816)536-3432. Therefore if you have fencing that needs removed we are neat and clean. Since our goal is to get the new posts set in concrete on the same day. Then we get right back at it the next day and construct the rest of the project and finally hang the gates. Furthermore we install red cedar wood, high quality american made powder coated steel, maintenance free white vinyl, galvanized and coated chain link fence. So by hiring us, you’ll know that your project was installed by a well established fence contractor. Also we are experts who know fencing through and through because that’s all we do. Another thing we don’t sell fencing supplies and we don’t have a huge storefront—we install fences, on time and on budget—guaranteed. Just take a look at our reviews. 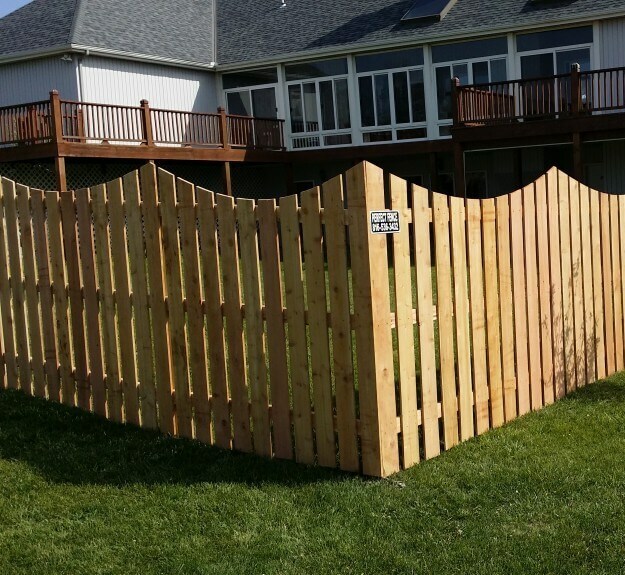 Perfect Fence Company is a great choice for fence installation in Kansas City. 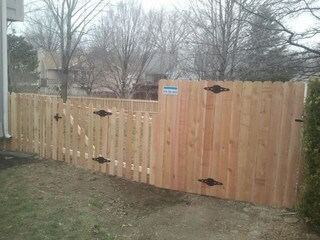 Finally Perfect Fence Company has installed a lot of privacy fences in Kansas City. Also if you live in suburbs or in the city, the privacy of your property is probably a concern. Therefore over time we have established ourselves as one of the leading installers in the Kansas City metro area. People who live in the city have a lot more interest in privacy fence than a lot of people realize, due to their houses some times only being 10 feet apart. Hence it’s great living in an urban area, at times the lack of privacy is not. Also we complete projects of all kinds for many custom and unique customer needs. So give your home or business the stylish look it deserves with custom fencing from Perfect Fence. Call 816-536-3432 to discuss your options. Also grow your investment in property around the Kansas City area with affordable, new fences. Therefore get a FREE Estimate and schedule your fence installation today! Finally protect your commercial, residential, or industrial property by erecting a durable, new fence. So choose from chain link, iron, wood, and more. Enjoy the protection of a warranty too! So there are many deciding factors that play a role in picking the right fence for you. Also we can help answer all of your questions. Because we offer many tall fencing options. A sturdy border can make all the difference in the world. Ready To Learn More About Your Fencing Options?